This is a two-part review. In this first part we look at the Symphonic Sketchpad which is the core library of the collection, plus the user interface and controls. In the second part we’ll look at the additional add-on packs. 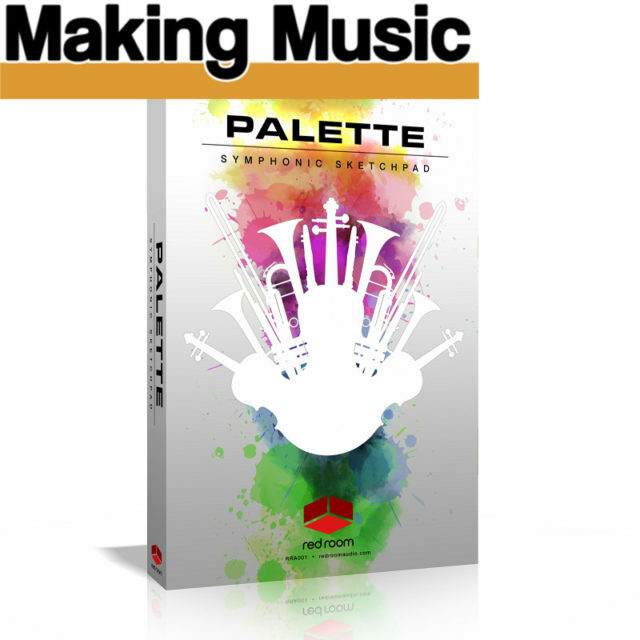 Red Room Audio’s Palette – what is it? 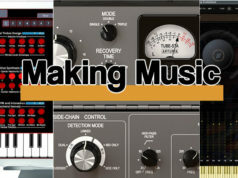 Red Room Audio is a new sister company to Impact Soundworks which many musicians know as a creator of sample libraries. Red Room launches with a brand new set of orchestral samples spread across four library packs. The samples were all recorded in the same hall which has some ambience but tends towards the dry side. However, the samples don’t sound dry when you load them in their default state and, of course, you can adjust the ambience in various ways within the program. So the sounds blend together perfectly and, given their natural dry-ish ambience, will easily fit with other samples libraries allowing you to add your own reverb. Each of the four libraries can be bought and used independently but there are many advantages to using them together. However many libraries you buy, they can all be activated with the one code and are stored in one master Palette folder. The four libraries together require 65Gb of disk space. All the libraries share a similar interface (changing only to serve the requirements of particular instruments) which makes use of the larger GUI space allowed in Kontakt 5.6.8 although you can reduce its size. The core Symphonic Sketchpad features 16 instruments: Strings, Strings (Chamber), Woodwinds, Woodwinds (Chamber), Brass, Brass (Chamber, Percussion, Timpani, Tubular Bells, Xylophone, Glockenspiel, Piano, Harp, Choir, Trailer Tools and Synth. This creates patches which cover the entire range of the section and which are more naturally full where instruments overlap. Red Room decided on this realistic approach rather than layering by creating scripted or programmed combinations as some libraries do. The articulations are listed in the top left of the interface and include all the major ones you’d probably need. 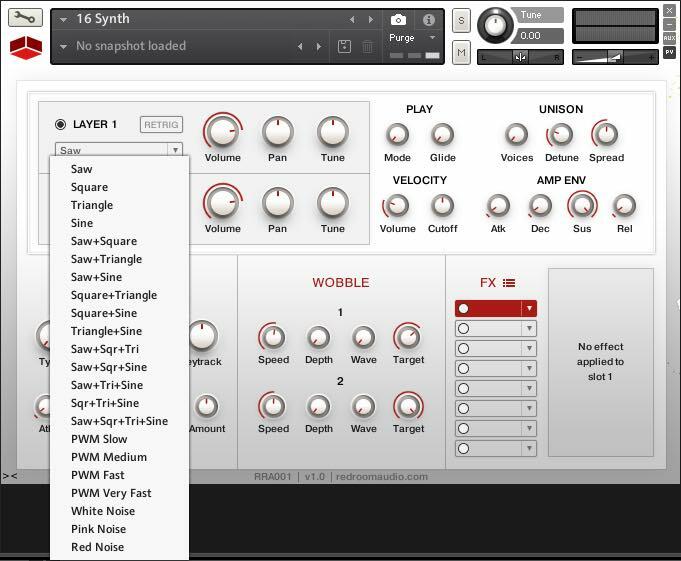 For each articulation you can control the volume, sample offset, attack and release, and select a method of dynamic control such as velocity or MIDI dynamics. This defaults to CC 1 (you might expect CC 7) which is traditionally Modulation, but you can change any CC assignment quite easily with a MIDI Learn function. The volume of the Sustain (and Trill) articulations are controlled by CC1 (the Mod Wheel) which crossfades between the three dynamic layers and you need to use this as they don’t respond to velocity. The articulations can be triggered in several ways – by keyswitch, velocity, CC (Continuous Controller), note range or pedal – and the interface shows which method is in use for each articulation. Oddly, you can’t select an articulation by clicking on it. Instead, clicking selects it for editing. I can’t see a problem in also selecting it unless you want to edit one articulation while simultaneously playing another which is probably unlikely. As it is, because the ensembles spread over 4-6 octaves, if you don’t have a full-size keyboard, you have to shift your range up and down so on-screen selection would be useful. You can layer articulations by, say, assigning one to a keyswitch and another to a velocity range so it kicks in when you play harder. You can actually use two selection methods allowing you to combine articulations or create rapid changes between them according to how you play. You can unload articulations you don’t need to save RAM. There’s lots of flexibility here and you can save any articulation settings you create for future use. There are three Mic positions – Close, Decca and Hall – which can also be unloaded to save RAM. 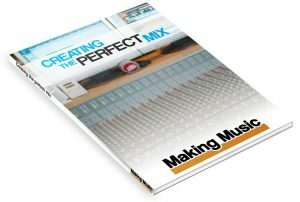 Each has a volume and pan control, and can additionally be routed to a specific output in your DAW. Other settings include switching the round robin on or off and selecting cycle or random. Releases lets you adjust the release for more realistic endings of sustained notes, and HQ Vel Xfade smoothes transitions between dynamic layers. There is also a set of controls for adjusting the velocity curve and range. It seems no sample library is complete without its own set of built-in effects and Palette is no different. There are eight FX slots and 17 effects to choose from: EQ, Solid Bus Compressor, Feedback Compressor, Transient Master, Limiter, Tape Saturator, Saturation, Distortion, Lo-Fi, Screamer, Amp, Cabinet, Stereo Widener, Rotary, Chorus, Flanger, Phaser, Delay and Reverb. 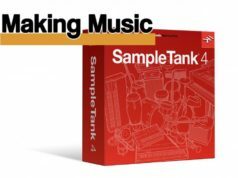 These are excellent effects to have at your disposal although many users will prefer to use dedicated effects in their DAW. 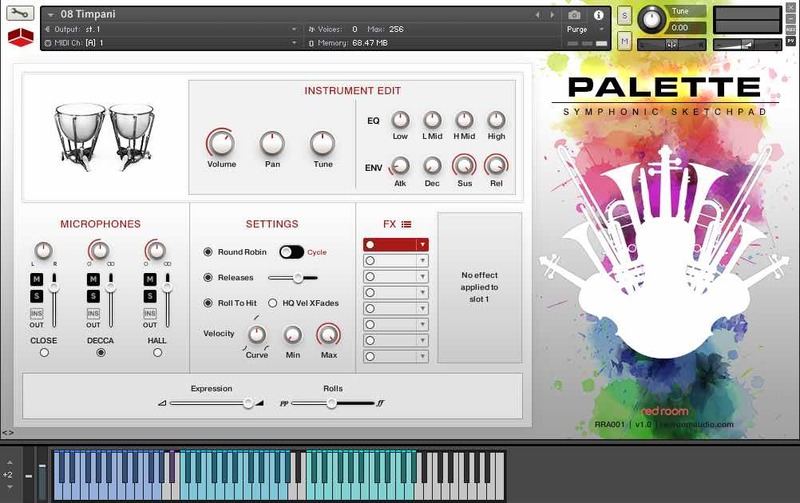 Some of them may seem inappropriate for use with strings, brass and woodwind but they can be used with other instruments, particularly the Synth and tuned percussion, and to create special effects and soundscapes. Finally, at the bottom of the interface are Dynamics (or Rolls, depending on the current instrument), Expression, Vibrato and Tremolo (or Flutter for Brass) sliders which can each be assigned to a MIDI Controller of your choice. Percussion features eight atonal percussion instruments including Gran Casa, Snare, Toms, Cymbals, Suspended Cymbal Triangle, Tambourine and Windchimes. They each have dedicated keys which are colour-coded on Kontakt’s keyboard (and on a NKS keyboard via Komplete Kontrol) and the sound of each one can be tweaked. There are the same Mics and FX rack controls plus a Roll to Hit button which makes rolls end with an accented hit. Nice. The Timpani are mapped to three ranges on the keyboard. The lower two can be used for left and right hand playing while the upper range produces rolls which can be controlled by the Rolls slider. As well as EQ and envelope controls, there’s a Tune button although this is not mappable to a CC so you can’t program a boing effect. However, these are great fun to play, not overpoweringly boomy and will fit well into an orchestral arrangement. The tuned percussion includes Tubular Bells, Xylophone and Glockenspiel. It’s almost impossible to call up a Tubular Bell patch without resorting to Mike Oldfield’s Tubular Bells riff. When you’ve finished that, there’s the skeletal Xylophone and the music box Glockenspiel. The piano is a sampled Steinway B Semi-Concert Grand with a tone control for darker or romantic pieces, and a pedal noise slider if you want to get really close to the pianist. Again, these all fit superbly with the other instruments. The Harp has a couple of interesting features. In normal mode it plays like a piano across its entire range. But turn the Scale knob and the back keys are deactivated and the white ones are mapped to one of 15 scale types such as major, minor, pentatonic, Lydian, Dorian, whole tone, half augmented and so on. This is brilliant for creating your own glissandi – just run your finger up and down the keyboard. There is a dedicated Glissando mode which allows you to play the highest and lowest notes in the run and the program plays the rest. There’s also a Bisbigliando technique which is like a trill between any two notes. You can adjust the speed of these two features. Pedal mode shows the pedal changes that would be made to play the scales on a concert harp. In the Performance section are controls to change the tone and adjust the envelope. The Choir contains both men and women singing three vowels – Ah, Oh and Mm – with sustain and staccato articulations. Like the instruments, the voices overlap in the middle of their range and you can create a massive choir simply by selecting several articulations at once. Another useful technique is to play in the men’s range and the women’s range which gives greater separation between the voices. 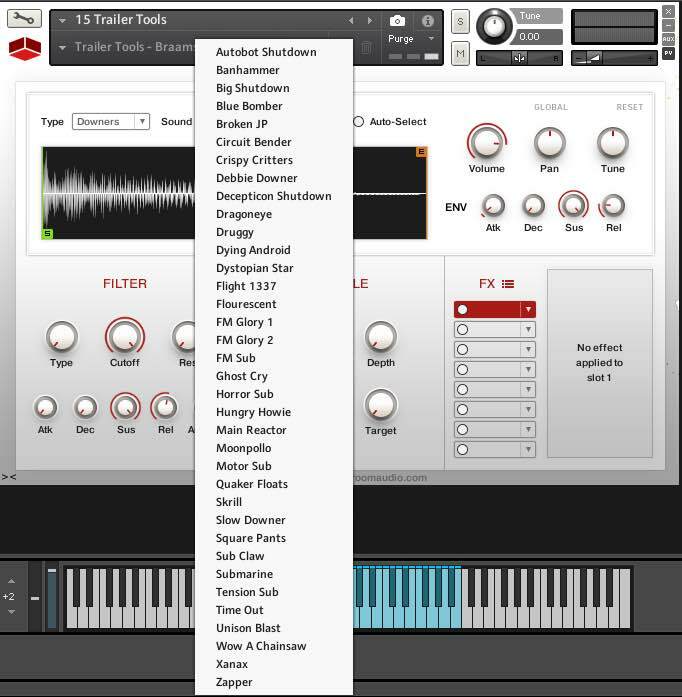 Trailer Tools contains over 250 sounds in seven categories – Braams, Downers, Impacts, Reverses, Risers, Sub Booms and Whooshes. A graphic display shows the sample waveform and you can adjust the start and end points. There are also controls for envelope and filter plus a Wobble control which produces a type of gate effect. With the aim of providing everything you need for creating a movie score, these provide the big sound design elements you need for over-the-top trailer music. Finally – for the Sketchpad at any rate – we have a Synth. It’s a simple two-layer subtractive synth with 22 waveforms. There are 19 presets so you can quickly run through some of the possibilities but, to be honest, it’s not the strongest part of the instrument. 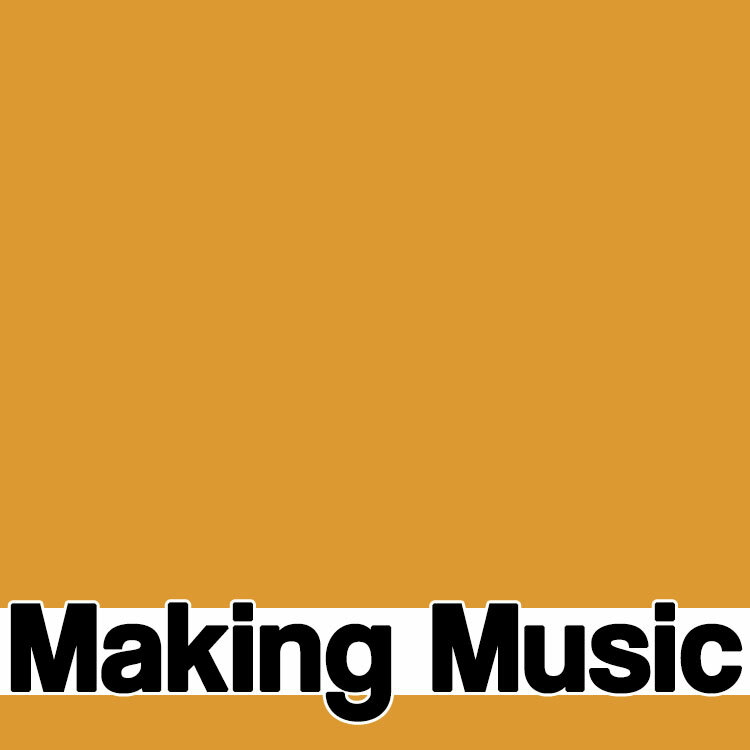 You could use it to blend a little something into an orchestral arrangement. You’re unlikely to use it as a ‘synth’ per se but look upon it as the bonus that it is. Sketchpad’s core Strings, Brass and Woodwinds are superb and evocative patches which lend themselves to ensemble score creation. The overriding feeling is that all the instrument sounds fit together extremely well – as you might expect coming from the same company and being recorded in the same hall. But it’s not just the ambience, it’s the tonal quality which has a cohesive quality so you know whatever combination of instruments and sounds you use in your composition, they will all work together with the minimum of hassle. 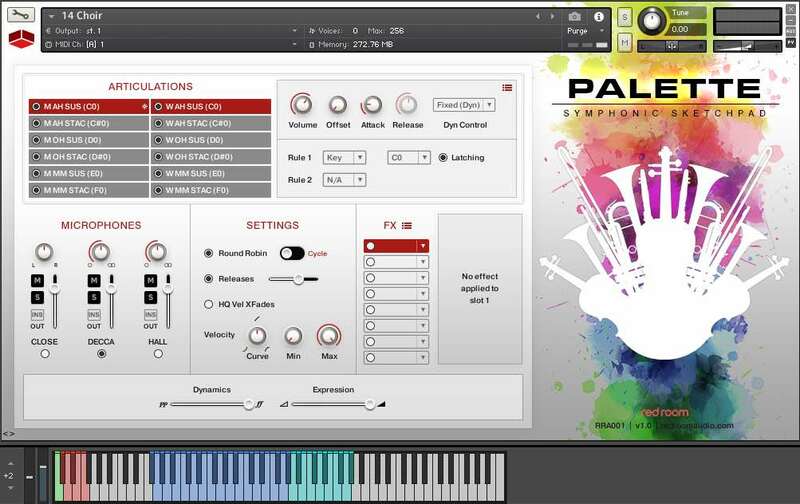 Many media composers tend to use ensembles both for speed and ease of composition, and Symphonic Sketchpad provides the essential ensembles you need for many orchestral scenarios at a mid price range for an all-in-one orchestra.